Benefits of Lavender Chef Please Tell! 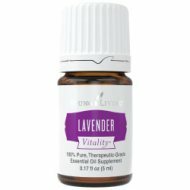 Lavender vitality essential oil for dietary purposes uplevels your cooking, cocktails and smoothies to a whole other level! The benefits of lavender oil include smoothies, sauces, dressings, marinades and drinks! Explore and improve your recipes with this wonderful dietary oil. Want to Purchase Therapeutic Lavender Vitality Essential Oil? Buy Lavender Vitality Essential Oil Here! Want to Learn about Lavender's Emotional, Spiritual and Other Uses? Then go to the Benefits of Lavender Page! Dietary Supplement: place several drops in capsule and take internally. If prefer dilution, then 50:50 dilution-one part essential oil: one part vegetable oil such as coconut or olive oil. Add a drop or two to water, juice, tea or other beverage. Place in favorite baking, dressing or marinade recipe. Floral up your Sun Tea or Lemonade or 50:50 mixture, by adding a drop of lavender oil!